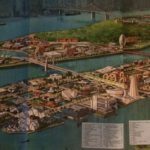 Welcome to Disney Extinct Attractions. My name is Cole, and I’ll be your guide on today’s look at some particularly patriotic Disney attractions. Happy Thanksgiving! Thanksgiving is my favorite holiday of the year because it marks the start of the Christmas season and has always been full of family traditions. Also, my birthday is always within a week of Thanksgiving, sometimes even landing on the day itself (which is always a fun time). Overall, some people have Christmas, some have Halloween but me, I have Thanksgiving. 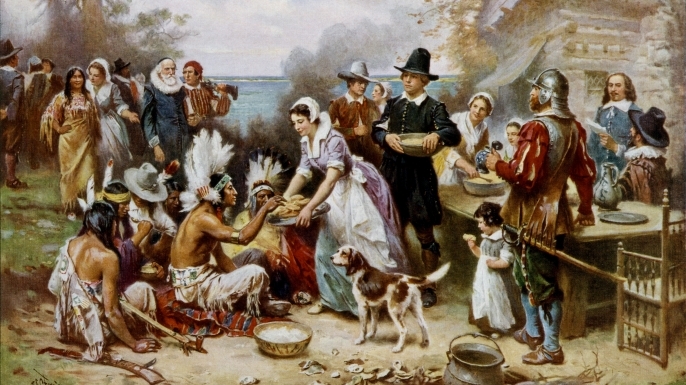 Thanksgiving is a strictly American holiday as a celebration of the sharing of crops between the indigenous people of America and the colonists. Yes, that relationship is not as great as they lead you to believe in grade school, but at its core, the holiday celebrates a time where people put aside their differences and break bread. 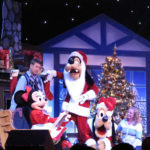 With that in mind, I thought what better way to celebrate on this blog than by talking about some of the American-themed attractions that have hit the Disney Parks. The Walt Disney Company’s love for America began with the main man himself, Walt Disney. Many people forget that Walt tried to help in World War I, even faking his age in an attempt to enlist early. 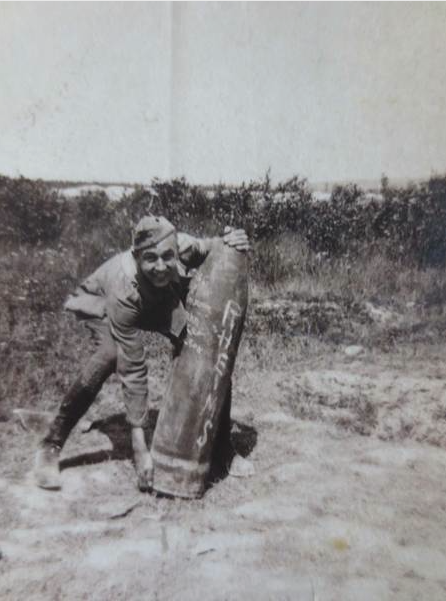 Primarily serving as an ambulance driver for the Red Cross, he did not arrive in France until after the fighting had ended, but he still was very dedicated to helping his country — a trait that never left him. Walt continued to serve as one of the United States’ biggest advocates throughout the entire rest of his life. So naturally when it came time to create Disneyland, America had to be involved in some way, so that he could pay homage to this country that had meant so much to him, and that started with the film America the Beautiful. 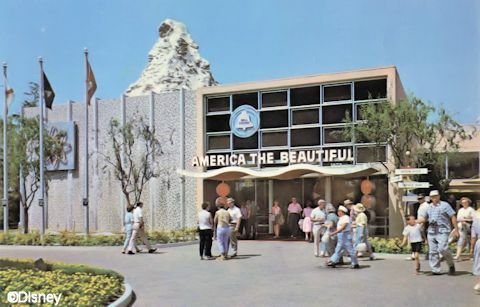 Before America the Beautiful made its way to Disneyland, it originally debuted at the 1958 World’s Fair in Brussels before also briefly appearing in Russia (a very interesting choice considering that it was the middle of the Cold War). Finally appearing in Disneyland in 1960, America the Beautiful replaced A Tour of the West in the Circle-Vision 360 theater. The experience of being completely surrounded by screens is one of the most exhilarating ways to experience a film, so it’s no wonder the theater stayed around for so long. 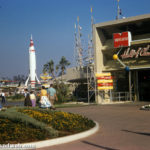 In 1967, this free attraction got a small overhaul (along with the rest of Tomorrowland) to stay updated with the times. That 1967 version is what you can see below, though be warned that it can be difficult to tell whatist going on as it is a theater in the round. I liked America the Beautiful, but I didn’t fall in love with it. Disney prides itself on its ability to provide quality edutainment, but I thought the film had a little too much education going on. The narrator kept talking for most of the attraction, and while what he said was interesting, it never quite gripped me in the way that I look for in an attraction. But one major positive attribute of the attraction is that its theme song lives on today as a part of Great Moments with Mr. Lincoln. My thoughts on it did not account for everyone’s thoughts, though, as America the Beautiful stayed opened in Disneyland until 1984, and it even got a special victory lap from 1996 to 1997. Meanwhile, America the Beautiful also made its way over to the “new” Disney Park, the Magic Kingdom. 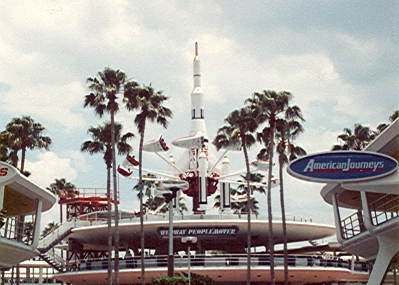 Making its home in Tomorrowland from 1971 to 1979, the film had a healthy life across the country, too. But ultimately, the theater began to strive for a more worldly view and the Magic Carpet ‘Round the World took over the theater. America the Beautiful wasn’t the last American film to hit the theater, though, with American Journeys taking over in the Magic Kingdom on September 15th, 1984, but before we move to American Journeys, we need to take a quick jump back to 1975. This parade was actually really interesting because it strayed away from Disney characters for the most part. What stood out to me the most, however, was how tall each of these floats was. The fact that they could make their way through the streets and then backstage was simply unbelievable. Luckily, many of the floats were rigged to shrink and collapse because otherwise they really would not have been able to make their way around. 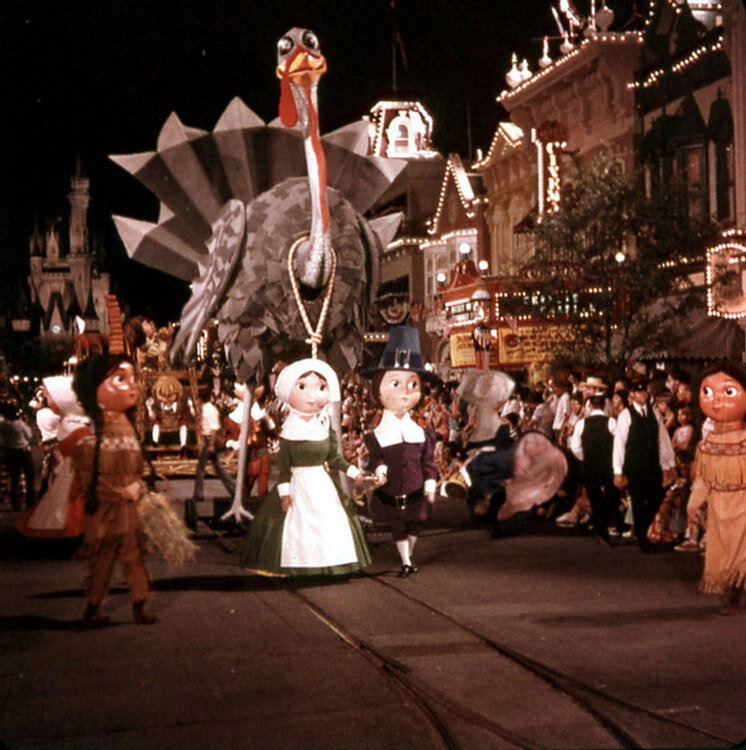 America on Parade was created specifically for the Bicentennial, so a few months later, the parade had its final run on September 6th, 1976, making way for normal daytime parades and the Main Street Electrical Parade to return. So now that we made that quick pit stop, let’s jump back to 1984, and the opening of American Journeys. The Magic Kingdom didn’t get to have all the fun, though, with Disneyland actually starting the party first on July 4th, 1984. 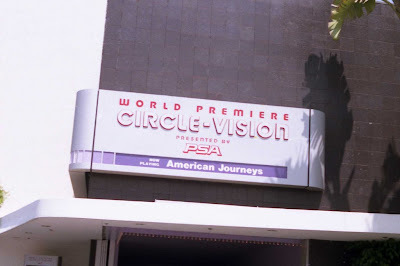 In Disneyland, American Journeys actually split its time in the theater with the film Wonders of China, that had been created for the China pavilion in Epcot. I liked American Journeys a lot more than I liked America the Beautiful, mainly because of its visual approach as opposed to a historical one. In a way, it almost felt like a precursor to Soarin’ with the grand scope of each of its shots. Even the score sounded similar to Soarin’, but I couldn’t find anywhere saying Jerry Goldsmith wrote the score to it. Throughout the film, the narrator switched and was used a lot more conservatively, making the film feel less didactic and a lot more fun. In fact, the show was even popular enough to make its way across the Pacific Ocean to Tokyo Disneyland from May 17th, 1986 until August 31st, 1992. Pretty good for a film all about America. The attraction lasted a little longer in Walt Disney World, holding out until January 9th, 1994, when it was replaced by The Timekeeper. Today, the area is home to the Monsters, Inc. Laugh Floor, so it doesn’t really continue on the legacy of its predecessors. Across the country, American Journeys stuck it out until July 7th, 1996, when America the Beautiful began its farewell tour. 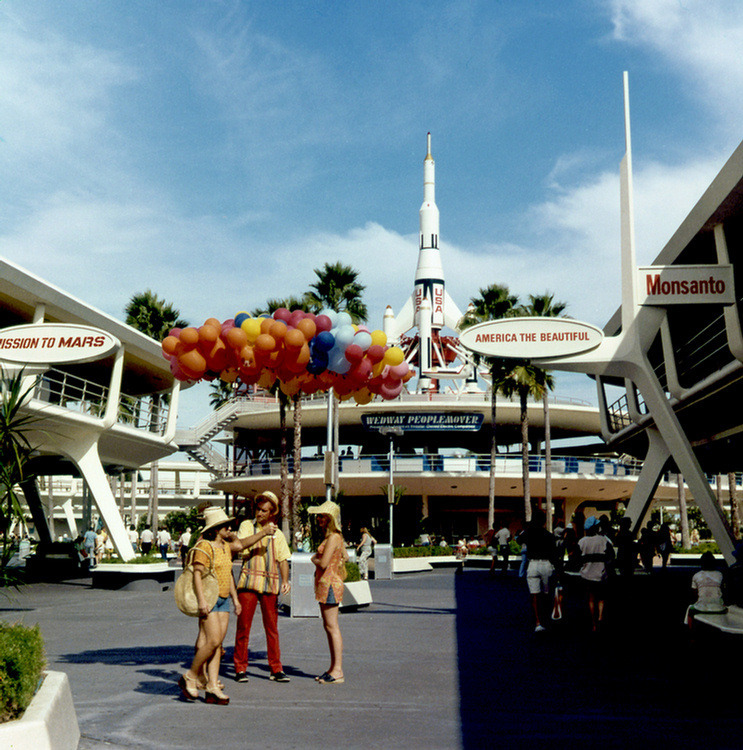 Eventually, the theater became a part of the queue for the Rocket Rods, the short-lived replacement to the PeopleMover before the attraction was closed, and Buzz Lightyear Astro Blasters was put in in place of the theater. So that brings our American journey(s) to an end. 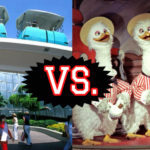 All these attractions brought something new to the Parks in their own way, even if I wasn’t a huge fan of them myself. Now as usual, here’s your hint at next week’s throwback post. 1. This attraction was featured in three different parks. 2. This attraction could be found in multiple lands in each park. 3. This attraction may have gone right over your head. Thank you for reading, and I hope you enjoyed this blast to the past. It was fun to celebrate Thanksgiving in this special way. Thanks again for reading and have a magical Thanksgiving!